Lead Management System is a Java-based platform for online collection of leads with a goal of selling them to potential clients. LMS features perfect information filtering settings and advanced reporting functionality. The challenge was to create a system that would allow to collect information about potentials students, filter it based on predefined criteria and forward to potential clients. Leads acquisition and selling platform for targeted online leads acquisition with advanced information filtering settings and reporting functionality was developed by Rozdoum team. 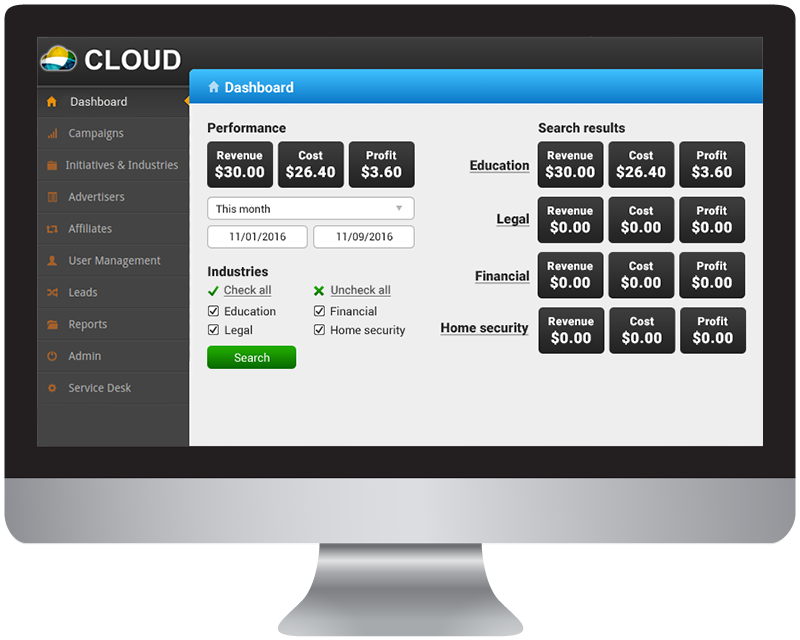 The solution collects required information and estimates banners and landing pages effectiveness. The info is classified according to the set of filters and directed to potential merchants by priority.